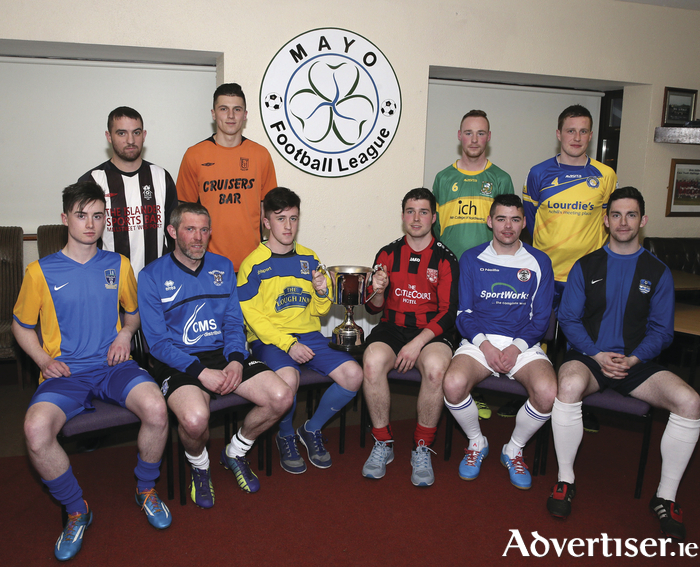 The new Mayo League season kicks off this weekend with the now traditional Liam McEntee Charity Shield between Super League champions Westport United and cup winners Manulla on Saturday evening at 5pm in Milebush Park. Westport United come into the game after bowing out of the Connacht Junior Cup last weekend after north Mayo rivals Ballina Town say them off 3-1 in a game that was played at the league headquarters in Milebush after the game was called off minutes before kick-off the previous week in Ballina. Ballina Town took the lead through a Keith Duffy goal from the penalty spot just before the half-hour mark, but the lead didn’t last long with Pat Fitzgerald levelling things up in the 36th minute. Benny Lavelle put Ballina Town back into the lead in the 52nd minute and the icing on the cake was applied by Duane Helly. With the Super League not kicking off this weekend, the main focus of the attention will be on the Premier League, where Charlestown Athletic and Straide and Foxford United who got relegated from the top division last season will be looking to bounce straight back up, but both sides face a really serious test to achieve those goals. Achill Rovers who will fancy of making a splash in this division this year will host Partry Athletic in their opener on the island on Sunday afternoon, while Charlestown Athletic will host near neighbours Swinford in what should be a tasty round one clash. Kiltimagh/Knock United will make the trip to Fahy Rovers, while Killala and Bangor Hibs will meet in a north Mayo derby to get the season up and running. Westport United B who will be there or there abouts in the top reaches of the league will be looking to get the season off to a winning start when they host Straide and Foxford United. On Monday night the league’s representative side, were in action in the EA Sports League Cup against fellow westerners Galway United, who saw off Mayo 3-1 thanks to a first half hat-trick form 19-year-old Padraic Cunningham. Mayo did pull one back in the second half through a JP O’Gorman strike after he was set up by Conor Byrne, but it was too little to later for Joseph N’Do's men. League of Ireland football for Mayo?